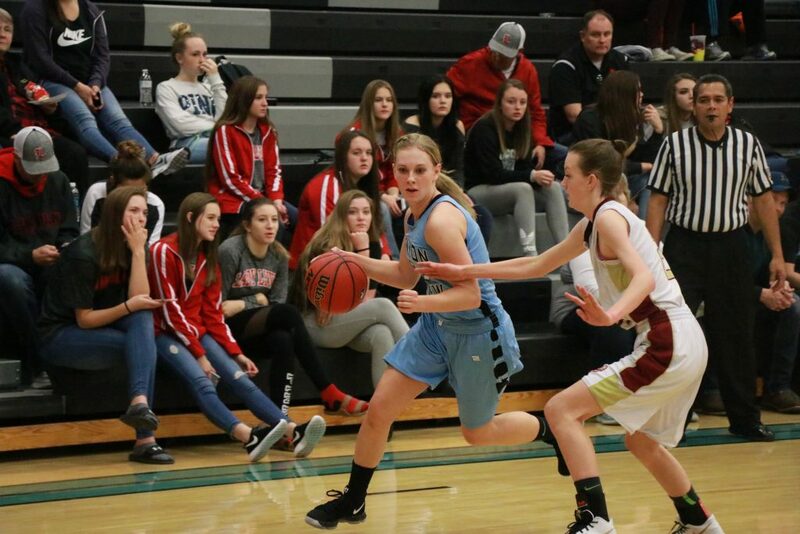 CEDAR CITY — The Canyon View High School girls basketball team fell to Juab 40-30 Friday evening, the second day of the ninth annual Steve Hodson Cancer Classic. 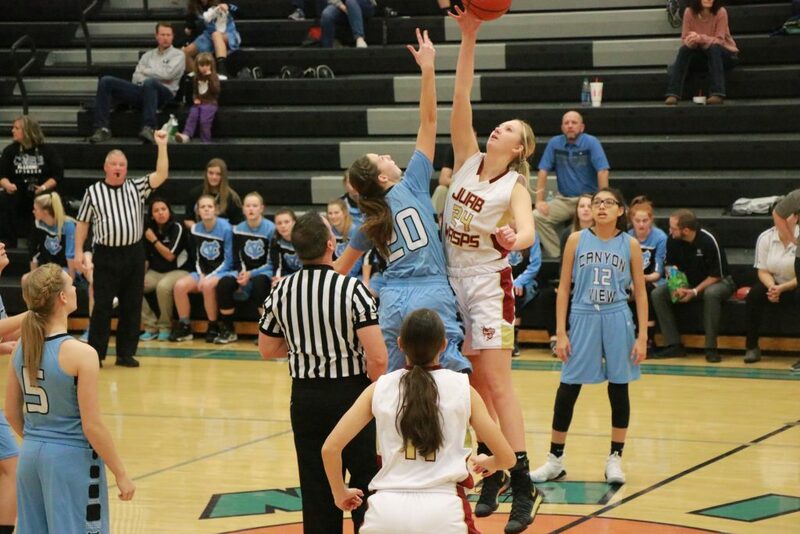 The two teams battled closely during the first quarter, which ended with Juab ahead 8-6. 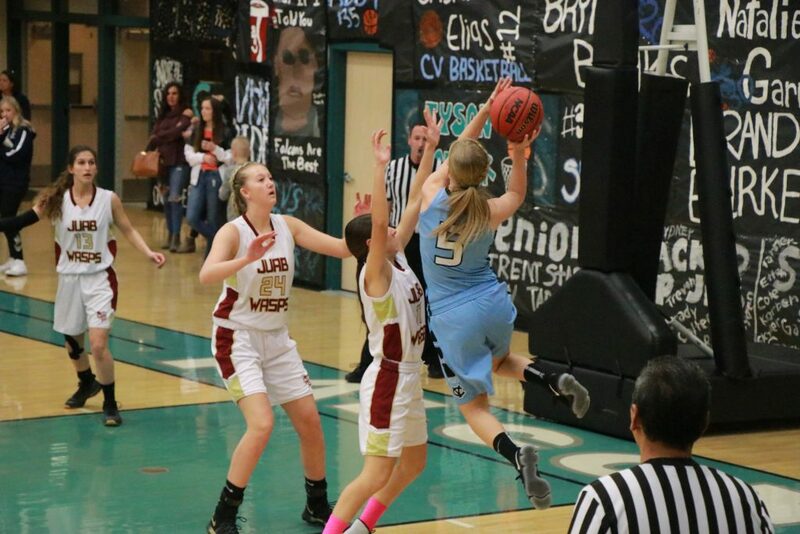 Early in the second quarter, Canyon View senior Cristal Elias scored inside to give the Lady Falcons a 10-8 lead. 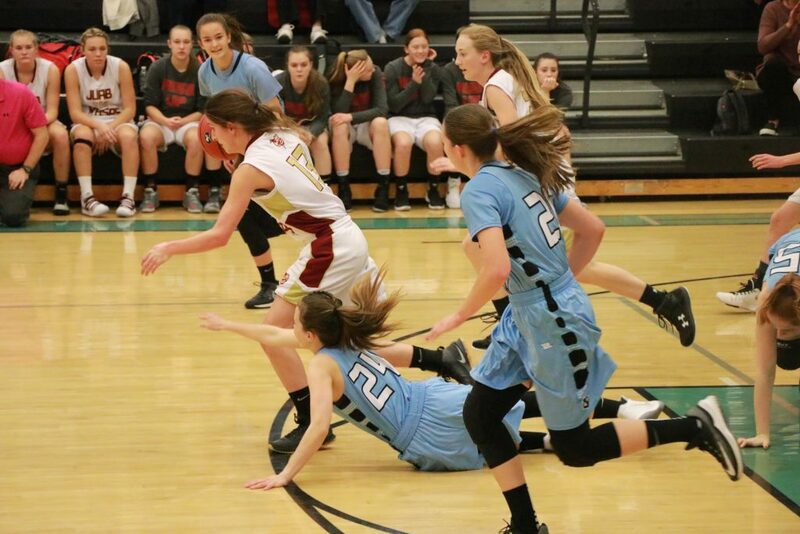 However, Juab’s Tatum Hyatt responded with a steal, followed by a long jump shot that tied the game at 10. A couple minutes later, Juab’s senior center Hannah Robins scored inside to put the Lady Wasps ahead 12-10. 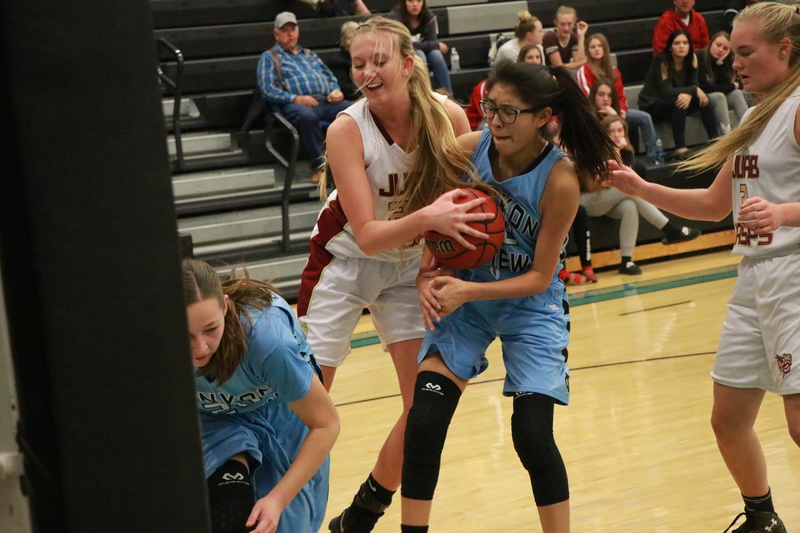 Junior Bayli Heap then drilled a 3-pointer for Juab, who went on to take a 17-12 halftime lead. 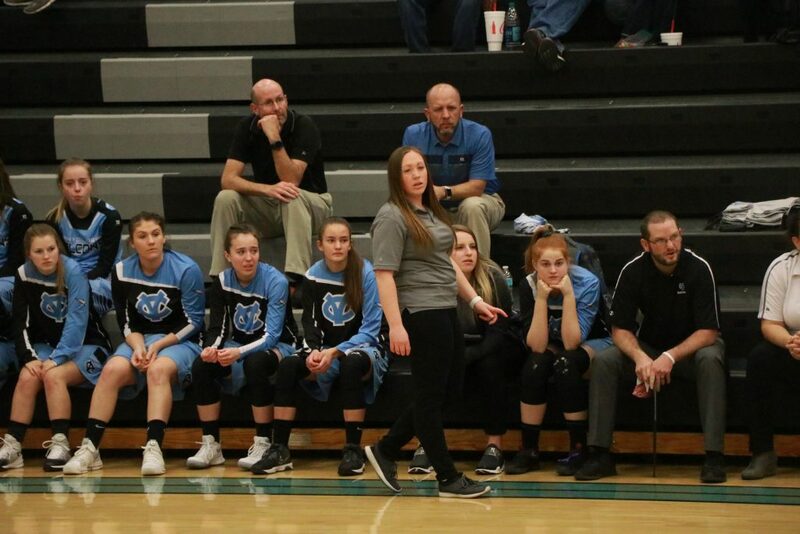 Canyon View head coach Jaycee Slack-Barnhurst said her team never was able to recover from that second-quarter slump. 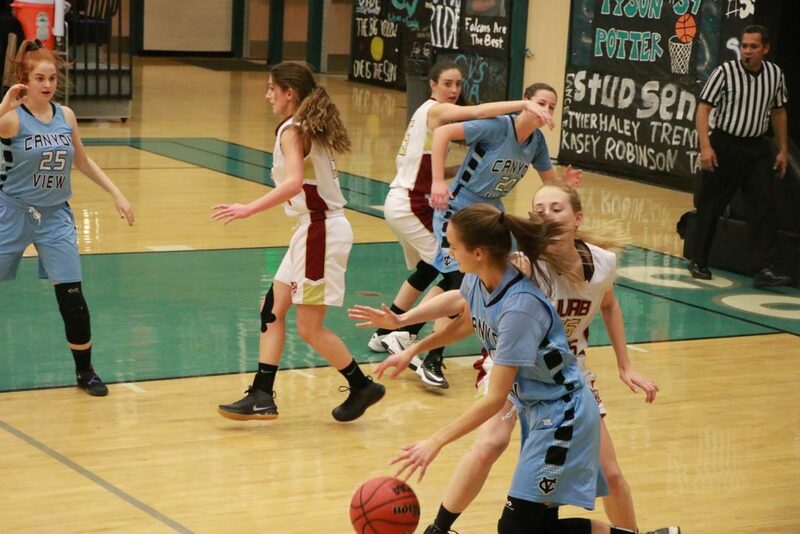 “They went on a 7-0 run, and we just couldn’t catch up,” Slack-Barnhurst said. 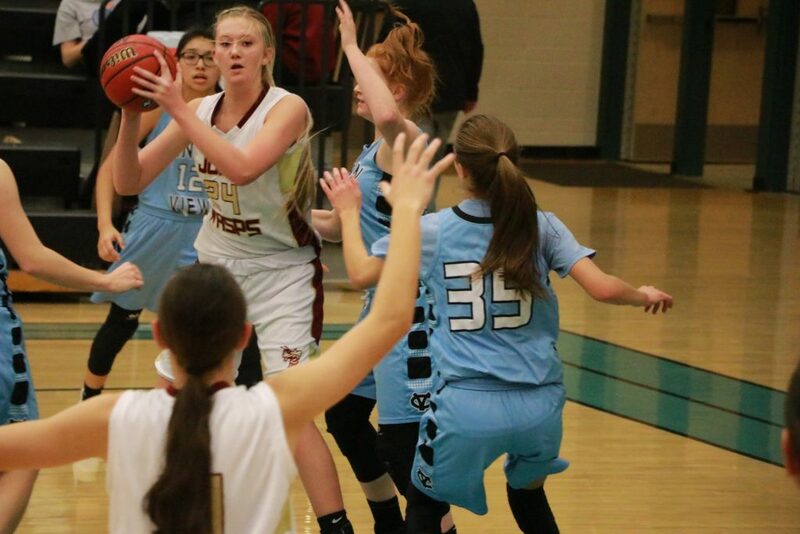 Juab extended its lead in the third quarter, with Robins scoring 9 of her game-high 21 points during the period, including converting 5 of 6 free throws. The Lady Wasps managed to maintain an 8-10 point lead throughout the fourth quarter, eventually winning by ten, 40-30. 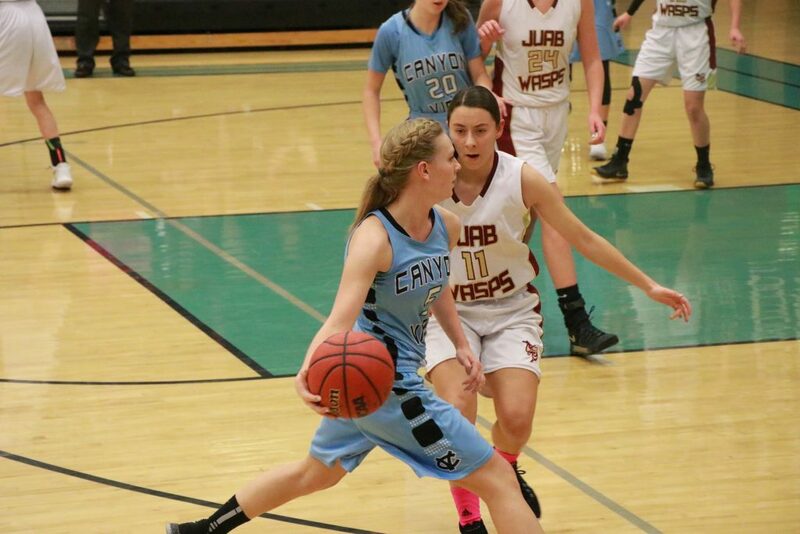 Elias led the Lady Falcons in scoring with 10 points, while starting guard Jordan Nielson added 6. 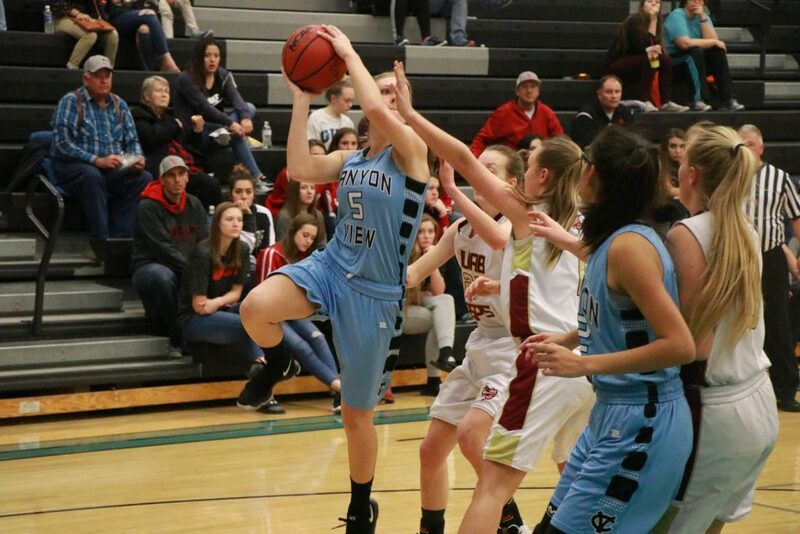 Canyon View’s other starting guard, senior Natalie Garrett, injured her left knee early in the second quarter. She briefly returned to the floor for a couple plays before being taken out of the game for good. 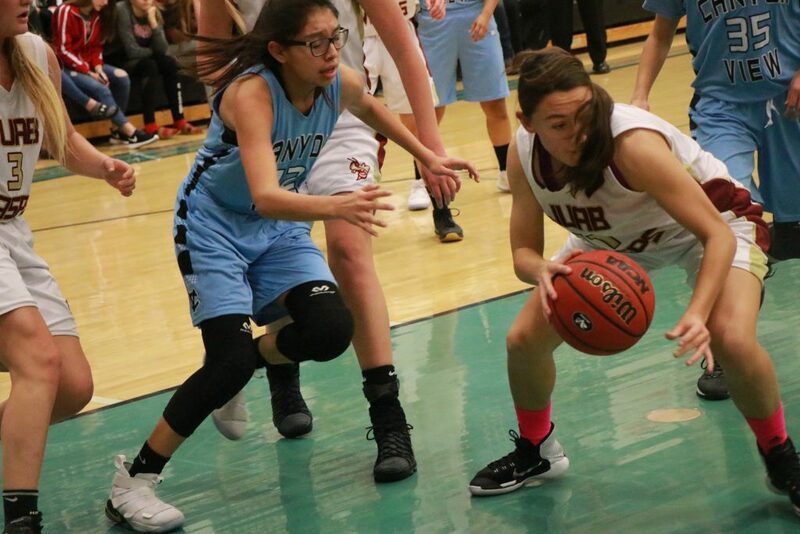 Juab head coach Jeff Wallace said the key to victory was getting the ball inside to Robins, who also led her team in rebounding with 11 boards. “We concentrated on getting Hannah the ball. She had a few extra catches and touches, and she scored them,” he said. 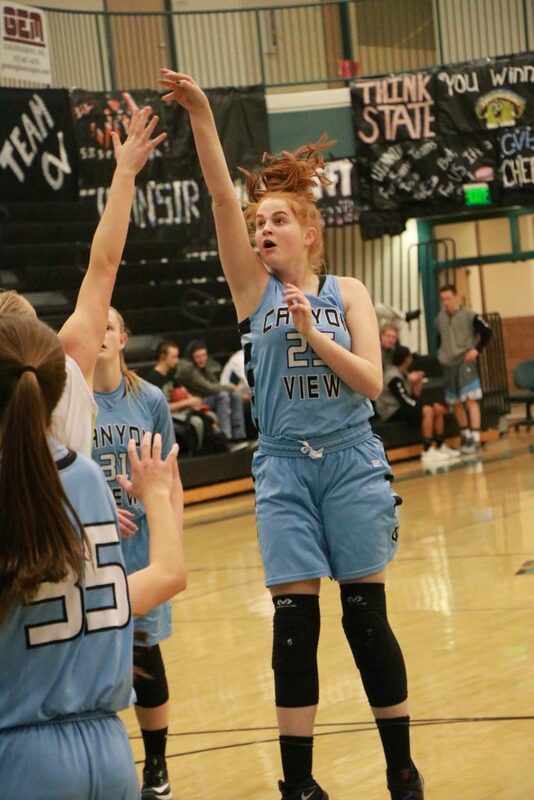 “Canyon View played really well, with a lot of energy,” Wallace added, whose team improved to 2-0 at the tournament, while Canyon View dropped to 0-2. 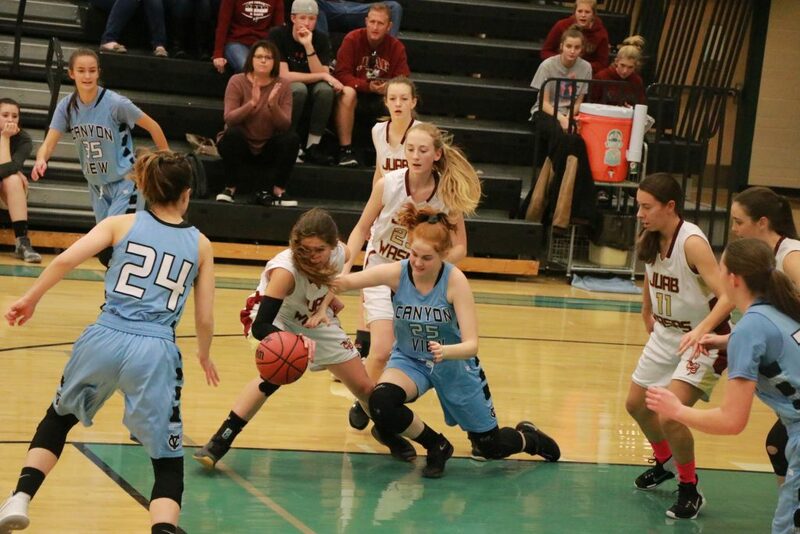 The Hurricane Lady Tigers won their second game in as many days, defeating North Sevier 39-32, despite getting outscored 12-4 in the final period. “Not our best fourth quarter offensively, but our defense won the game for us,” Hurricane head coach Franci Homer said. 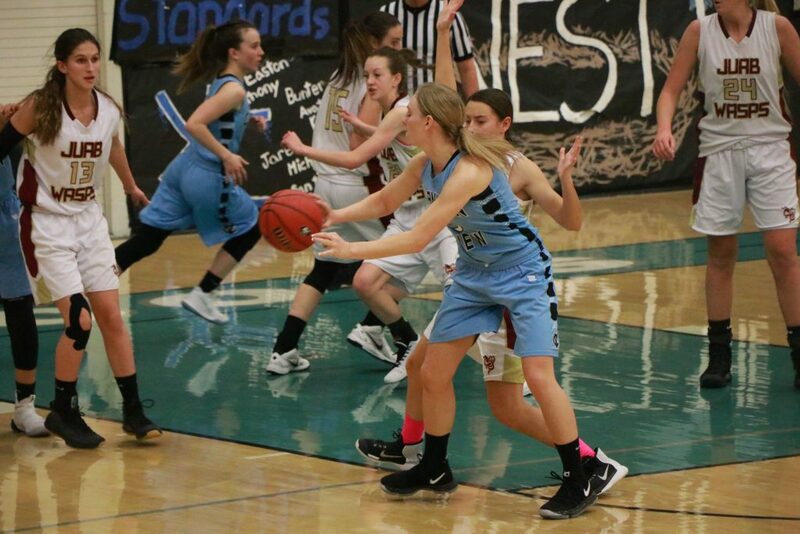 The Lady Tigers were paced by Madi Hirschi and Jayden Langford, who each scored 9 points. 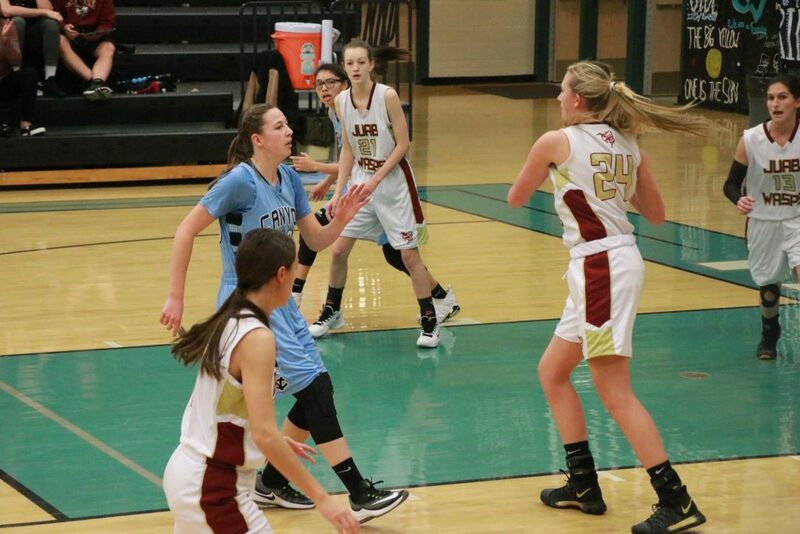 Cedar High also won its second game of the tournament, beating Tooele, 48-27. 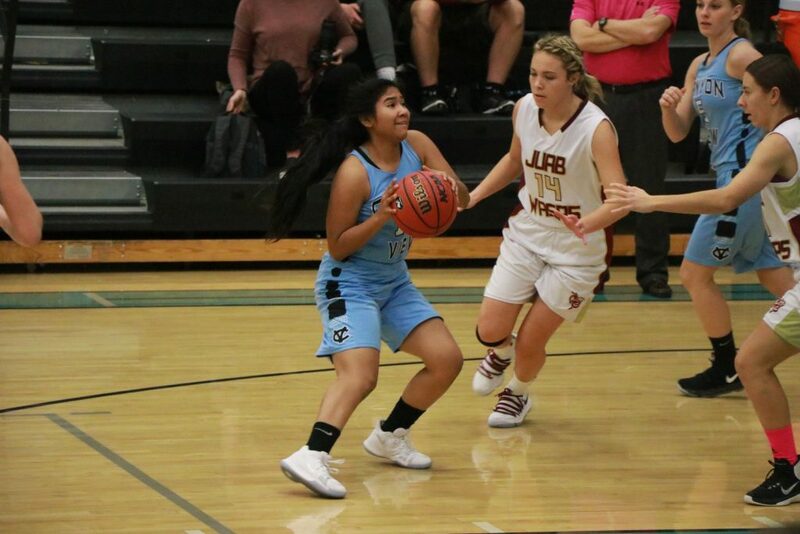 Sophomore guard Japrix Weaver, who didn’t score in Thursday’s game, led the Lady Reds with 14 points in the victory, while Carley Davis added 10. 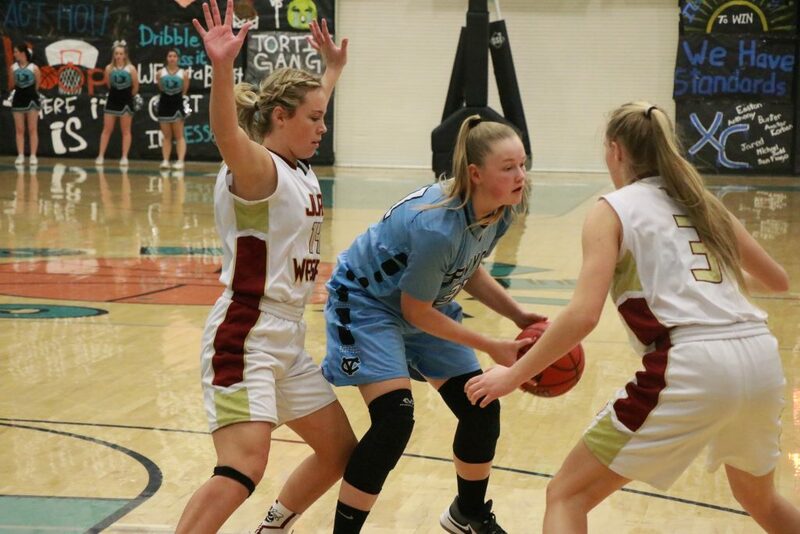 Pine View also improved to 2-0 for the tournament, thanks to a 37-30 victory over Grantsville. 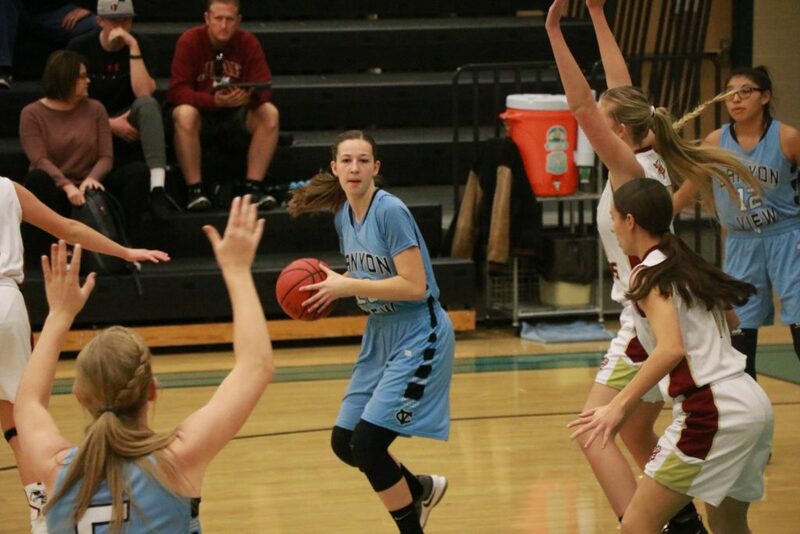 Snow Canyon, meanwhile, lost to Stansbury, 49-43. 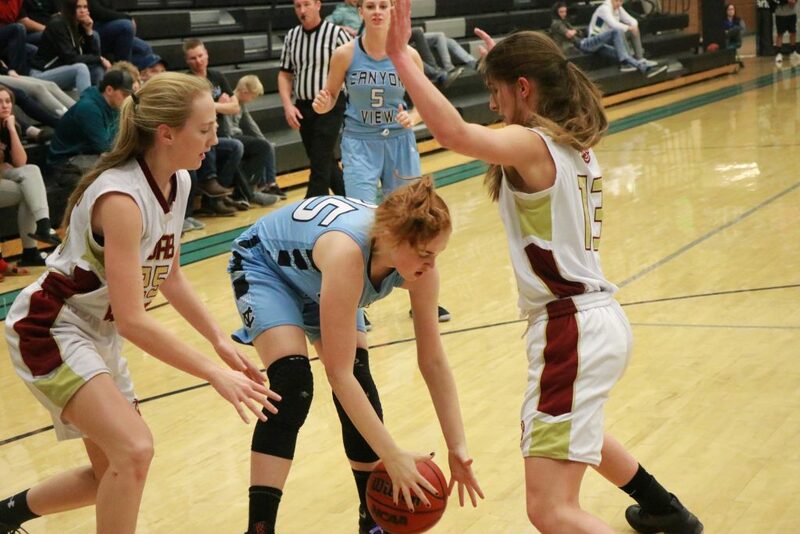 Update: By mutual agreement, Snow Canyon and Pine View switched their games on Saturday, with Snow Canyon playing Tooele and Pine View playing Bryce Valley. This article has been updated to reflect the changes.